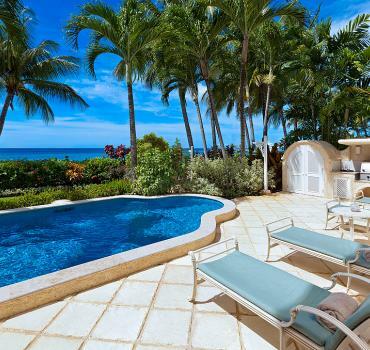 Cassia 25 is located on the exclusive Royal Westmoreland Golf Resort. 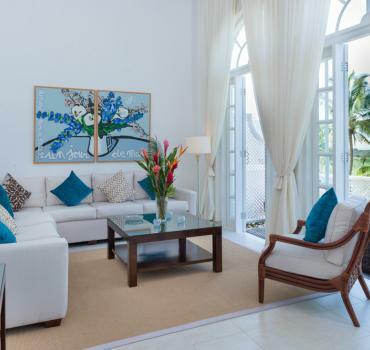 This 2 bedroom villa overlooks the fairway and is set within beautifully manicured tropical garden in a cul-de-sac. This villa is a short stroll away from the clubhouse and the Sanctuary. All bedrooms are en suite and fully air-conditioned. The Master bedroom is located upstairs and is equipped with a Queen size bed which can become two single beds. The guest bedroom is located downstairs along with the spilt level living area which opening up through large ceiling height bay windows to a delightful wooden deck. All guests staying in Royal Westmoreland have access to the resort facilities which include flood lit tennis courts, gym and communal pool. During the winter season there is a kids club avaiable for familys with children.